Some people love to grow plants and others shy away from even trying. But even if you’ve never grown anything before, this collection of plants you should be growing is worth a look! 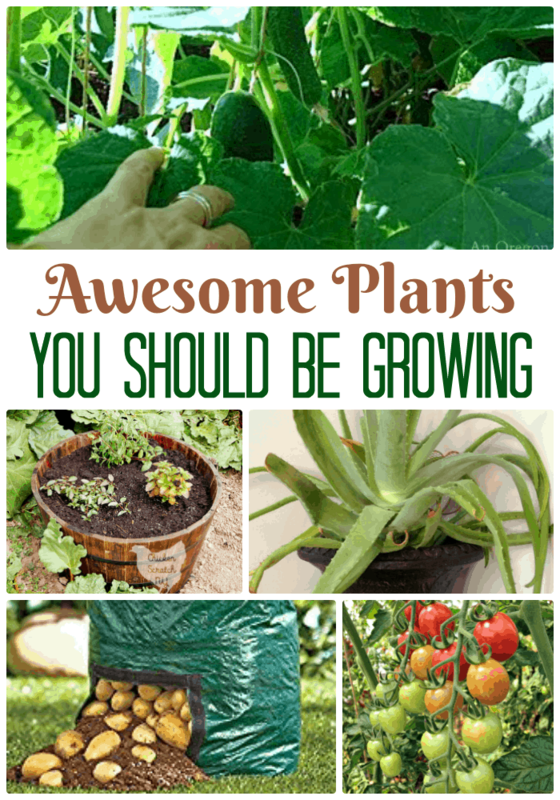 Most of these links offer some great ideas for growing different foods. Several of them can even be started for free from the food you purchase at the grocer. Onions, celery, potatoes, and more can be started from scraps you might normally just discard. Instead of tossing it away, why not try growing a plant? Being able to grow your own food, herbs, and even medicinal plants like Aloe Vera is a wonderful thing. It can be quite comforting to know that you have yet another way to provide for yourself and for your family. And this is a project that you and your children can enjoy together. Imagine their excited faces as they not only see their plants grow green and beautiful – but begin creating food that they can eat! Click on the links below to learn more about these amazing plants to start growing. Don’t forget to leave a comment while you are checking out the tutorials to let my friends know you found them at Jayandel! Do you grow food plants? What is your favorite? A tiny request: If you Enjoyed Awesome Plants to Start Growing Even If You’ve Never Grown Anything Before, please share.